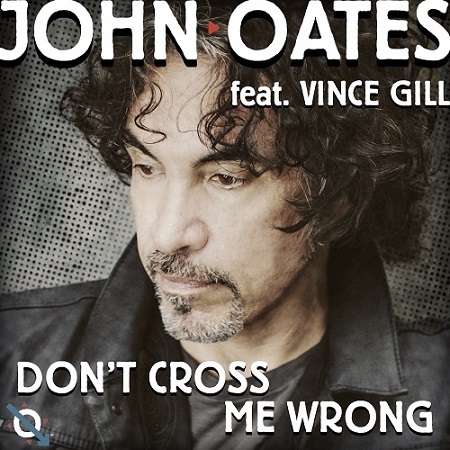 JOHN OATES NEW SINGLE WITH VINCE GILL, "DON'T CROSS ME WRONG" AVAILABLE NOW! John Oates is taking fans on a cross-genre journey with his latest project, Good Road To Follow. The second single “Don’t Cross Me Wrong,” a forewarning blues-rock track written and produced with country icon Vince Gill, will be released on July 16. “Don’t Cross Me Wrong” features a stellar cast of Nashville’s finest including Tom Bukovac (guitar), Willie Weeks (bass), Chad Cromwell (drums), Colin Linden (slide), Kevin McKendree (keyboards), June Hope (horns), a guitar solo from Gill, and vocals from Oates, Gill and Bekka Bramlett. “You just cast the right players, and you go in and everybody’s creative…if you trust those gifted people that play music, they won’t steer you wrong,” said Gill of the recording process. Unrestricted by musical barriers, Oates has collaborated with some of the world’s brightest music makers, ranging from acclaimed songwriter/producer/rocker Ryan Tedder of OneRepublic, to pop band Hot Chelle Rae, to Gill. Oates will release a single-a-month from the PS Records / Elektra Records project. Fans can subscribe to the series receiving a new download and exclusive content every four weeks, purchase limited edition clothing and merchandise inspired by the songs, and individual tracks.